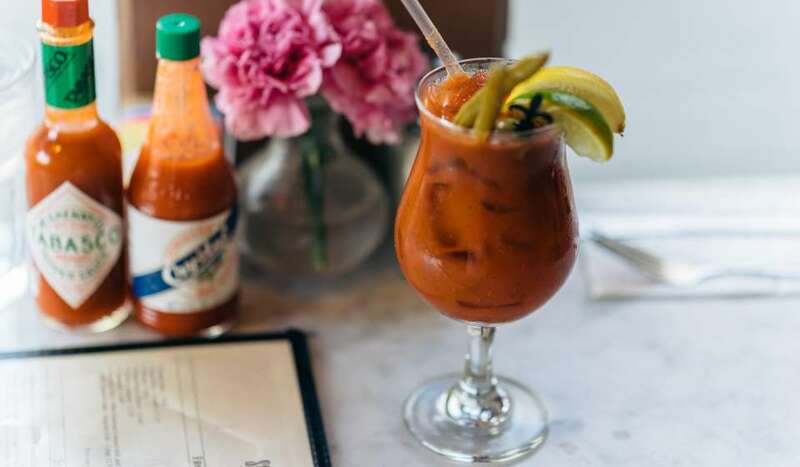 Ask any local mom or dad you meet in town and they’ll tell you that New Orleans isn’t just for grownups. 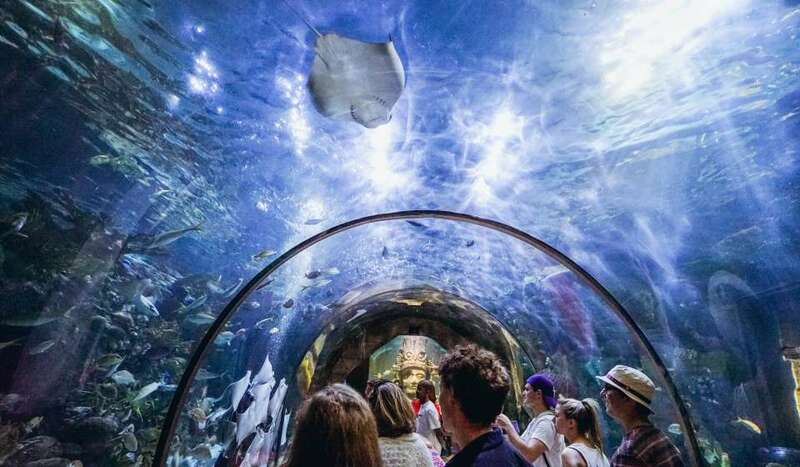 From Mardi Gras to museums and zoos, to family-friendly jazz clubs, there are cultural events and attractions all over town that can show the whole family a good time. 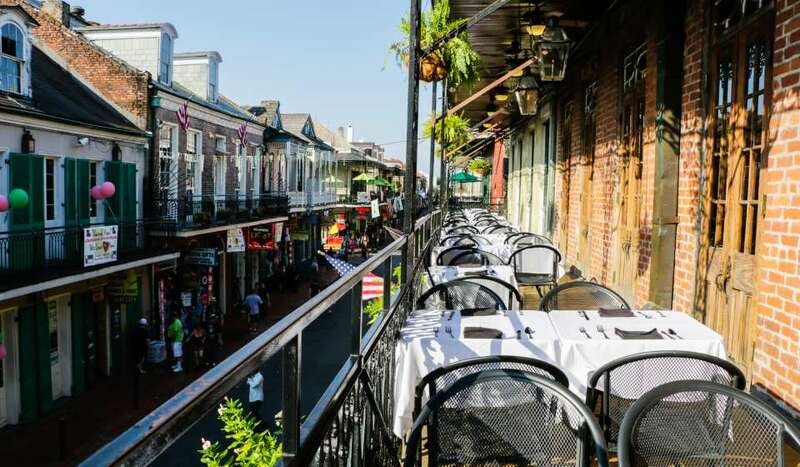 Beyond its elegant architecture and rich history, the French Quarter is home to casual dining, green space, Mississippi River based attractions and an aquarium. Breakfast - Kids and parents can start the day with hot chocolate or café au lait and fresh powdered sugar covered beignets from the world-famous Cafe Du Monde. Audubon Butterfly Garden and Insectarium - The Audubon Butterfly Garden and Insectarium is perfect for an adventurous family who loves nature and anything that crawls, flies, or buzzes. 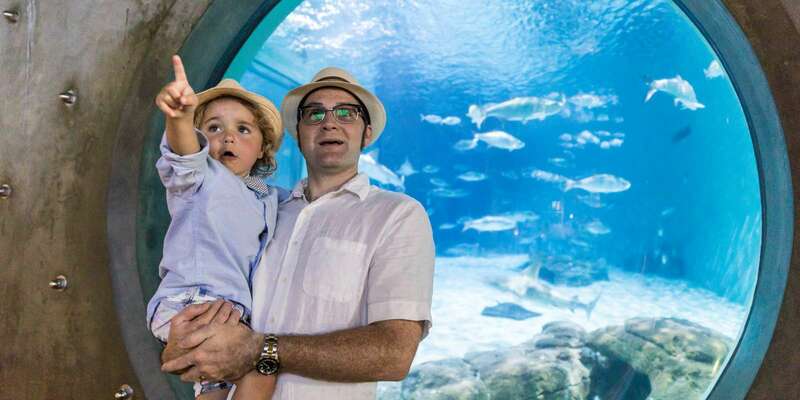 Audubon Aquarium of the Americas - Check out the Audubon Aquarium, complete with more than 15,000 different sea creatures finny and fishy. 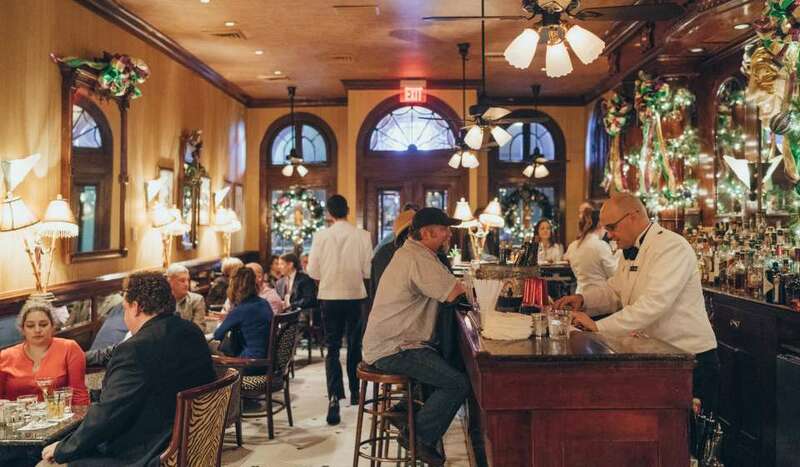 Lunch - After a morning full of exploration, feast on a po-boy sandwich at Johnny’s Po-Boys, or get the original Muffaletta at Central Grocery and sit in Jackson Square or along the Mississippi River. Jackson Square - There is no place quite as magical as Jackson Square. Your family can sightsee on a mule-drawn Carriage Ride, or take a walk and enjoy street buskers, performers and artists. Dinner - Treat your family to New Orleans cuisine at Deanie’s or Oceana Grill. Live Music- Take the family to soak up a live jazz set at Preservation Hall. Ghost Tour – Older kids will enjoy hearing tales of haunted New Orleans. Enjoy a day of museums that will keep kids of all ages intrigued for hours. Museums - Fun for kids and adults alike, The Louisiana Children’s Museum is a hands-on experience with dozens of interactive exhibits. And don’t forget to stop by the National WWII Museum, full of educational displays and activities – ask at the front desk about kid-friendly exhibit. Lunch - The Soda Shop, located in the National WWII Museum, is a step back in time complete with booths, high-top counter seating and milkshakes. This is a great choice for a relaxed day of nature, shopping, and of course, delicious food options (even for picky eaters). 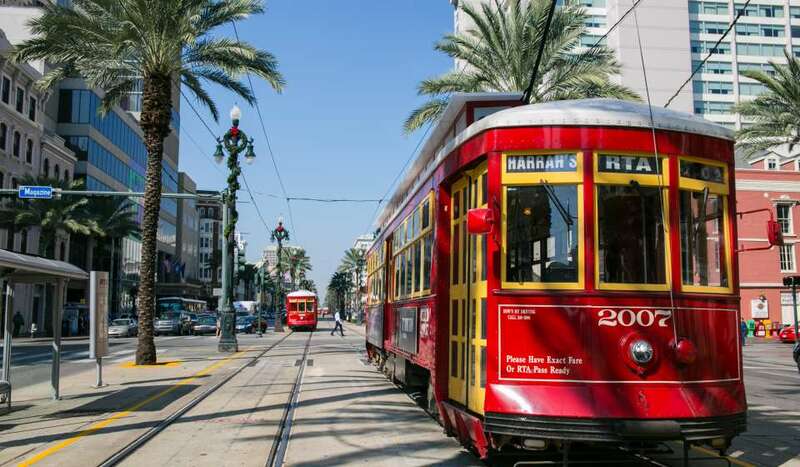 St. Charles Streetcar- Sit back, relax and enjoy the view of St. Charles Avenue. The St. Charles Streetcar is only $1.25 per person and great for a leisurely ride through the Garden District and Uptown (you can take it to the zoo). Breakfast - Stop by for breakfast at the iconic Camellia Grill for counter-style seating and some entertaining hospitality. Audubon Park- The perfect place to have a picnic or toss a Frisbee, Audubon Park is full of beautiful green space, a golf course and a large walking/biking trail and playgrounds. Be sure to check out The Fly for super river views with another playground. Audubon Zoo- Inside the park you’ll find Audubon Zoo, with animals from all over the world, including the rare and famous white alligator. Sweet Tooth- Visit Plum Street Snowballs for the traditional New Orleans sweet treat. 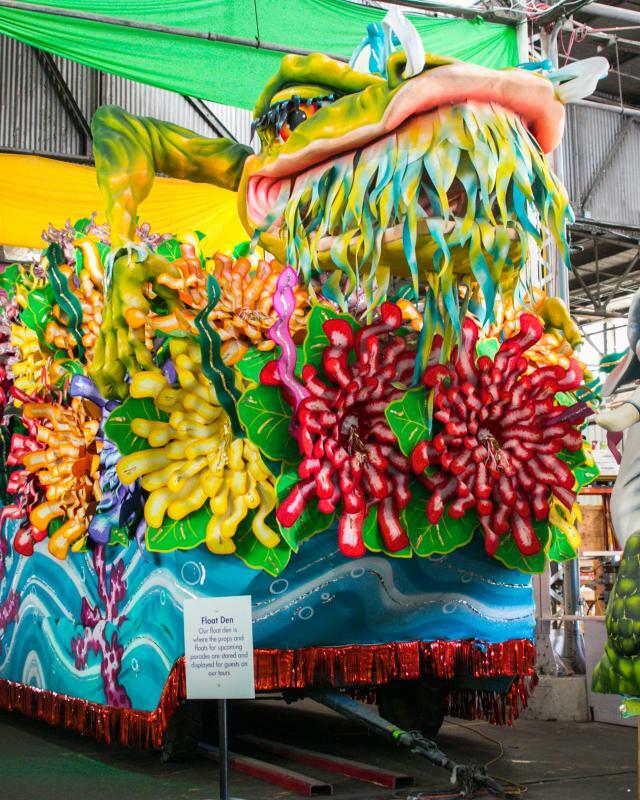 Blaine Kern’s Mardi Gras World- Mardi Gras World is a great place to bring the family for a kid-friendly taste of Mardi Gras any time of year. 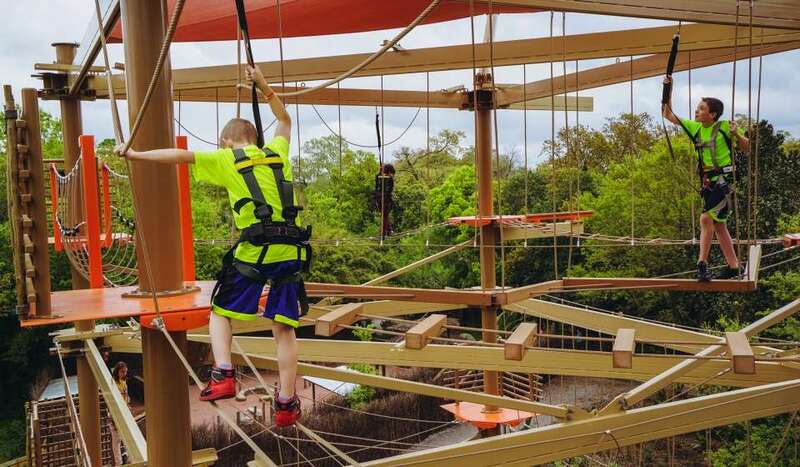 Experience the city like a local family in and around City Park. Breakfast - Kick off an exciting day at Wakin&apos; Bakin&apos; for traditional breakfast options just 5 minutes from the park. City Park - When the weather is nice, your family can spend an entire day in City Park. Take the kids on a tour through the Botanical Gardens or the Sculpture Garden next to the New Orleans Museum of Art. Check out Carousel Grounds Amusement Park, which offers a variety of rides for kids of all ages. Play a game of mini-golf at City Putt, make believe in Storyland, or enjoy an afternoon of sunshine and boating on Big Lake. Rock n’ Bowl- Let the whole family rock out to live music while bowling at Rock n’ Bowl. Great food and snacks. Dinner - End your day at Katie’s Restaurant, a casual and family-friendly dining experience. For colorful houses and a break from the busy city, explore the Marigny and Bywater. 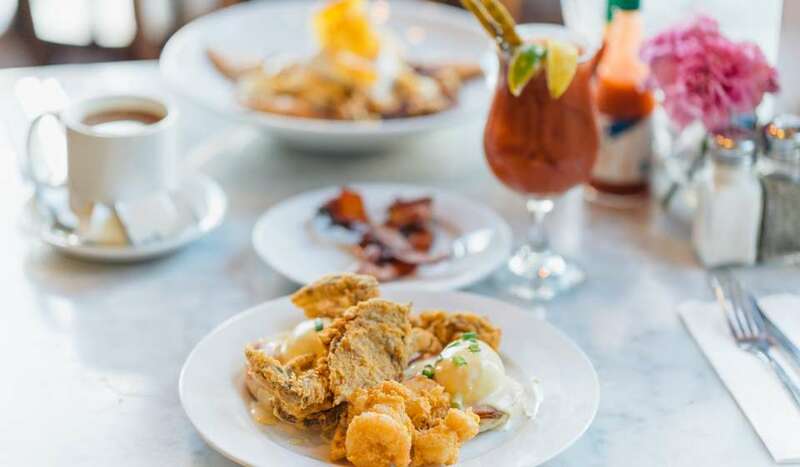 Brunch - Named after Dorothy’s shoes from The Wizard of Oz, The Ruby Slipper Cafe is a quintessential New Orleans go-to. Play at the Park - Crescent Park, right along the Mississippi River, is a breath of fresh air and green space in the Marigny and Bywater neighborhoods. Access begins just down river from the French Market. Dinner - Dat Dog on Frenchman Street is a fun and colorful spot for hotdog lovers. Stick with a standard beef-dog or try an alligator or duck sausage. Music - Adults can unwind at Three Muses over a drink and some small plates, while kids can enjoy quality live music.